The classic symptoms of a sociopath are a wanton disregard for right and wrong and an inability to care about the feelings of others or the tenets of law or societal norms. Most sociopaths can be defined fairly early in life by their behavior and attitude. "Neither of them could give me what I yearned for in the depths of my soul, but there was one medicine that they could have given me to ease my suffering: the original medicine, money." Circumstances after the murder unravel and his perfect plan fails spectacularly. He ends up carted off as a 'common' criminal to a life sentence, a fate made more demeaning by the extremely high opinion he had of himself. As he acclimates to incarceration and is transported to a tropical prison camp, he explains more of his childhood and more of his relationship with his father. He reveals in slow and painful detail exactly what his father did to make him a strong man, and suddenly the diagnosis of classic schizophrenic becomes vague. Because while he clearly was influenced by his father's hateful and moral deficiencies, he never outright blames him or uses him as an excuse. He accepts all responsibility himself for his crime and also acknowledges his own moral failure. A true schizophrenic never accepts blame. Throughout this first half of the book to this point, the reading has been complicated and painful; the details were horrifying and unsettling. However, in his new location in the tropics, a change occurs in his life that confirms that Georg Letham is no sociopath. He is allowed to work in the medical field again, this time doing research to find a cure for the deadly Yellow Fever that haunts the tropical regions. A parallel is drawn between the rats his father abhorred and tried forever to eliminate with Georg's efforts to find a remedy for this similarly persistent and deadly danger. While his father was led into the depths of moral depravity because of his inability to control the deadly rodents, Georg rises morally by putting himself at risk for the welfare of others by trying to have some effect on the deadly disease. Throughout the second half of the book we see him change, yet he never transforms completely. That would be too easy and too unrealistic. A fascinating part of the text is the medical aspects of the study of disease, and how diseases like Yellow Fever are transmitted. This is a far more interesting way to learn about biology than high school science! No details are omitted in the search for a cure, and Weiss never dumbs down the medical language. Reading about the treatment of criminals in the early twentieth century as well as the service of military doctors and their dedication in this time period is absorbing. This is not an easy read. Details of the animal testing are gruesome. His own attitude is obnoxious, but changes to more of a snarky sensibleness as events progress. His father's heartlessness is painful, and many events are described so brutally that you may cringe and have to put the book down for a few minutes. One thing is constant: Georg is honest even when it would suit him to be less so. And despite the difficulties, this book is something you can't put down and certainly won't want to. Special thanks to Jill at Archipelago Books for this review copy. This translation from the original German text, by Joel Rotenberg, is available at Archipelagobooks.org or Amazon.com. Part of the fun of the blog award is I get to nominate several blogs for the Honest Scrap award as well, and I've listed some of my favorites below. 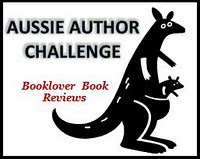 Each one has something special to offer readers, check them out and see! The Genteel Arsenal http://www.thegenteelarsenal.blogspot.com/ Australian! The New Dork Review of Books http://www.thenewdorkreviewofbooks.blogspot.com/ Greg's great voice! Cookies, Books and Bikes http://cookiesbooksbikes.blogspot.com/ Great recipes too! These blogs can grab their logo and post it, and make sure they pay it forward by nominating their own favorites as well! Bloggers: when you post the rules dictate you must reveal ten "true" things about yourself. Be brave! Congratulations! The lovely Book Nerd Club (http://www.thebooknerdclub.blogspot.com) has honored me with their Honest Scrap Award. Yay! Does this mean I'm an official book nerd? I guess that goes without saying. In accepting it I'm supposed to list ten true things about me. Yikes. 1. I still feel like I'm 12 years old inside, even if the outside is decades older. 2. I never get tired of 30 Rock or The Office. 3. I hate fruit pies or desserts. They are a waste of chocolate opportunities. 4. My kids think I'm cool. Imagine that! 5. I love to read about Scandinavia, Russia and Australia. 6. I'd have a crush on Tim Winton (the author) if he got a haircut. 7. I collect orange (ginger) cats, the real kind, alive! 8. I collect Fiesta Ware dinnerware, in wild retro colors. 9. My favorite food is sushi, specifically Green Dragon Roll. 10. I inadvertantly kill all houseplants except death defying bamboo. Thanks a bunch for the award, and I'd like some of my favorite blogs that I follow to get it as well. These will be listed in another post. It is sentences like these that reach out and grab you , pulling you into this book, a stunning new novel by Amy Greene. 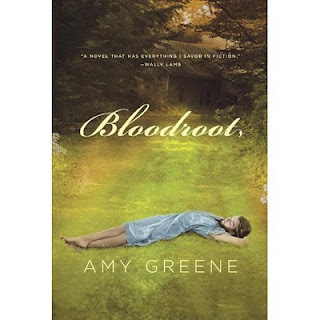 The book is an epic story of several generations living near Bloodroot Mountain. It’s not a simple read, as you get acquainted with a large number of characters right away, and each of them has a compelling story. All the characters are complicated and deep, and at several points it’s difficult to know just how you are supposed to feel about them (Is this person a villain? Or just misunderstood?). Greene makes this draw you further into the book, because you never fully know as you read how you feel. One character may repel you and yet you feel drawn to them later. The landscape and the flora and fauna of Bloodroot Mountain, as well as the other locations, is as much a character as the people in the book. Descriptions of damp caves, briar covered paths, and the flowing wild herbs make you shiver with the realism. The isolation of the mountain community is at times comforting, and at other times chilling. The level of detail is intense, and you can tell that the author didn’t simply imagine this place. It has to really exist somewhere. Emotionally it’s a tough read. The characters suffer more pain than most, and at times I had to pause and stop because events unraveled so terribly. There’s also a high level of suspense, and at points I caught myself holding my breath as I turned the page to see what would happen next. Details of the poverty, mental illness and distress are laid out plainly and painfully. This novel has several remarkable qualities that make it unique. One is that when describing successive generations of women, Greene manages to make them have similar traits and speech and they all flow together as truly related. It’s as if she somehow created their DNA and sprinkled familiar bits about, so that each woman is different but undeniably made of the same stock. Another feature is the use of foreshadowing. Some authors lay the groundwork for an important detail, then come back to it later and make the loop complete. But Greene lays down details that come up again, not once, but several times, making the details interlinked like a delicate chain. This is an intense read that is best enjoyed when you can concentrate on the characters. Enjoy! Thanks to Lauren Helman at Knopf for the Advanced Reader's Copy. I wish I could credit who designed these, they are amazing! "Words Without Borders opens doors to international exchange through translation, publication, and promotion of the best international literature. Every month we publish select prose and poetry on our site. In addition we develop print anthologies, work with educators to bring literature in translation into classrooms, host events with foreign authors, and maintain an extensive archive of global writing." "Three Percent launched in the summer of 2007 with the lofty goal of becoming a destination for readers, editors, and translators interested in finding out about modern and contemporary international literature. The motivating force behind the website is the view that reading literature from other countries is vital to maintaining a vibrant book culture and to increasing the exchange of ideas among cultures. In this age of globalization, one of the best ways to preserve the uniqueness of cultures is through the translation and appreciation of international literary works. To remain among the world’s best educated readers, English speakers must have access to the world’s great literatures. It is a historical truism and will always remain the case that some of the best books ever written were written in a language other than English. Unfortunately, only about 3% of all books published in the United States are works in translation. That is why we have chosen the name Three Percent for this site. And that 3% figure includes all books in translation—in terms of literary fiction and poetry, the number is actually closer to 0.7%. While that figure obviously represents more books than any one person could read in a year, it’s hardly an impressive number. An even greater shame is that only a fraction of the titles that do make their way into English are covered by the mainstream media. So despite the quality of these books, most translations go virtually unnoticed and never find their audience. The idealistic hope of Three Percent is to help change that—at least a little bit. By bringing readers information about goings-on in the world of international literature, and by providing reviews and samples of books in translation and those that have yet to be translated, we hope to serve as a resource for readers, students, translators, and editors interested in international literature." 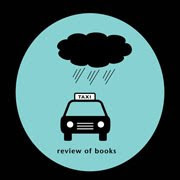 "a not-for-profit literary press dedicated to promoting cross-cultural exchange through international literature in translation" This site has a number of tantalizing books, including translations of books from Poland and Germany. I want this one, just tell me it doesn't sound great! 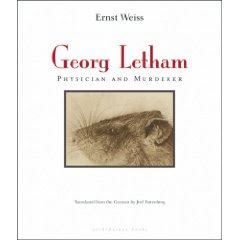 "First published in 1931 and now appearing for the first time in English, Georg Letham: Physician and Murderer is a disquieting anatomy of a deviant mind in the tradition of Crime and Punishment. Letham, the treacherously unreliable narrator, is a depraved bacteriologist whose murder of his wife is, characteristically, both instinctual and premeditated. Convicted and exiled, he attempts to atone for his crimes through science, conceiving of the book we are reading as an empirical report on himself – whose ultimate purpose may be to substitute for a conscience. Yet Letham can neither understand nor master himself. His crimes are crimes of passion, and his passions remain more or less untouched by his reason – in fact they are constantly intruding on his “report,” rigorous as it is intended to be. Both feverish and chilling, Georg Letham explores the limits of reason and the tensions between objectivity and subjectivity. Moving from an unnamed Central European city to arctic ice floes to a tropical-island prison, this layered novel – with its often grotesquely comic tone and arresting images – invites us into the darkest chambers of the human psyche." 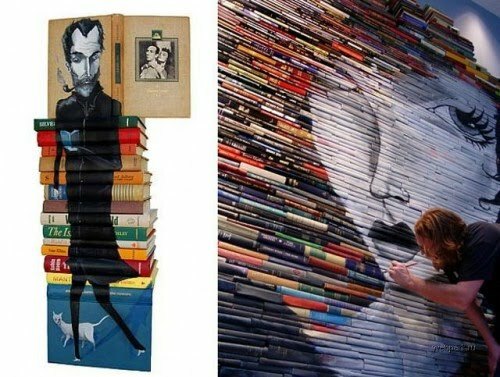 Blindur er boklaus madur - blind is the bookless man. Icelandic saying from the book "The Tricking of Freya" by Christina Sunley. My latest book wish list title! This one sounds amazing. Thanks to BookBirdDog.blogspot.com (Book Dilettante) for the review that helped me find this gem. I love books having to do with Scandinavia. Just a small vent: started four new online classes through our local college. I am mystified by how some teachers have their instruction pages filled with typos. One instructor in particular warned about spelling errors, but he misspelled grammar and plagiarism both in the very same sentence. Yikes! It's not like I don't make spelling errors, I do all the time. But then again, I don't teach!